In 2010, the Chorus was very fortunate to engage the services of an inspirational young musician as its new Music Director. Tom Appleton was a Chorister at St Paul’s Cathedral, before gaining a scholarship to Gresham’s School, Holt and then went on to read music at York University. 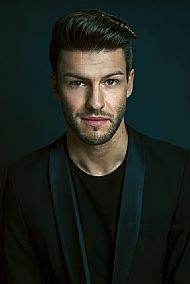 As a member of the world famous Monteverdi Choir, Tom has sung in numerous locations and the Chorus has often been entertained with accounts of his performances in Salzburg, Carnegie Hall, King’s College Cambridge and Buckingham Palace. Tom excels as a soloist too and a performance during the 2010 Proms of Monteverdi’s 1610 Vespers was a particular highlight. Tom’s informal and engaging style makes rehearsing fun and, as a result, brings out the best in everyone he works with. Highlights of his time with the Chorus have included tours to Belgium, Normandy and Dublin and a CD 'Hark! ', (produced in conjunction with the group Mardi Brass) and also, performances with Dame Emma Kirkby, the Classical Brit Award winning Blake, The European Union Chamber Orchestra, The English Chamber Orchestra, Norfolk Symphony Orchestra and the composer Will Todd. With him the Chorus has also collaborated with the young members of The Britten Music Course at Gresham’s and with the Swing Band at Springwood High School in King’s Lynn as well as singers from local primary schools. Tom has also encouraged the Chorus to engage more with the community and 2 carol-a-thons, where the Chorus sang carols in the streets of King's Lynn prior to Christmas 2013 & 2014, demonstrated that. 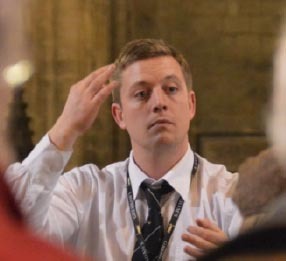 In September 2013, Tom was appointed Music Outreach Director at Gresham’s where his aim is to bring the school in closer contact with other local schools and organisations. In April 2017, Tom launched www.comeandsingcompany.co.uk with KLFC Singing Teacher Ellie Bowers-Jolley. The chorus is delighted to welcome our new accompanist Ben Horden. We look forward to working with him on a regular basis from September 2017. Ben Horden is an aspiring young artist pursuing a diverse career as an organist and choral conductor with a passion and affinity for seventeenth and eighteenth-century repertoires and, in particular, the music of Johann Sebastian Bach. Church music shaped much of Ben’s early career and training and he has previously held a number of church and cathedral positions. Ben often collaborates with singers, instrumentalists and ensembles as an accompanist, continuo player and conductor. In his capacity as a solo artist, Ben’s career to date has seen appearances on some of England’s finest instruments. Recent and forthcoming highlights include the internationally acclaimed York Early Music Festival, the London Handel Festival, Sainte-Radegonde, Poitiers and La Madeleine, Paris. Between 2006 and 2016, the Chorus was honoured to have Milton Keynes based John Byron as its Accompanist. John's extensive repertoire of concertos includes works by Rachmaninov, Grieg, Poulenc, Schumann, Beethoven, Mozart and Bartok and his piano playing at the 2014 performance of Will Todd's 'Mass in Blue' with the Chorus, demonstrated his versatility as a performer. In 2016 we were joined by Chris Brown, a gifted pianist, organist and tenor singer. In the short time he was with us, Chris helped Tom to move the choir on to new heights. A new teaching opportunity has required him to move on to pastures new. We shall miss his great sense of humour and accomplished playing. King’s Lynn Festival Chorus is delighted to announce that The Marchioness Townshend has agreed to be the Chorus’ patron. Lady Townshend is, by her own admission, a lapsed violinist but hugely enjoys the instrument, having played in the Chamber Orchestra whilst studying at St Andrews University. She has a great love of singing so it is particularly appropriate that she should agree to become the patron of King’s Lynn Festival Chorus. 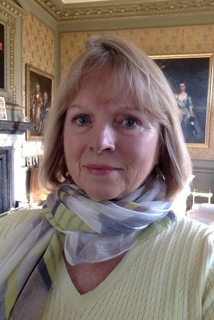 Having lived in Norfolk now for over 25 years, she is actively involved in supporting her husband in the restoration of Raynham Hall and organises the twice yearly Recital Weekends which contribute to funds for this enormous project. (www.raynhamrecitals.co.uk) An active bell ringer, Lady Townshend served on the committee which masterminded the installation of a new ring of 8 bells at East Raynham Church to celebrate the millennium.